We have Hail and Farewells to go to, Spouse Clubs to step down from, favorite girl-friends to spend a few last evenings with. We find time in all of this to be a 'couple', a date night - or even a date-lunch perhaps? 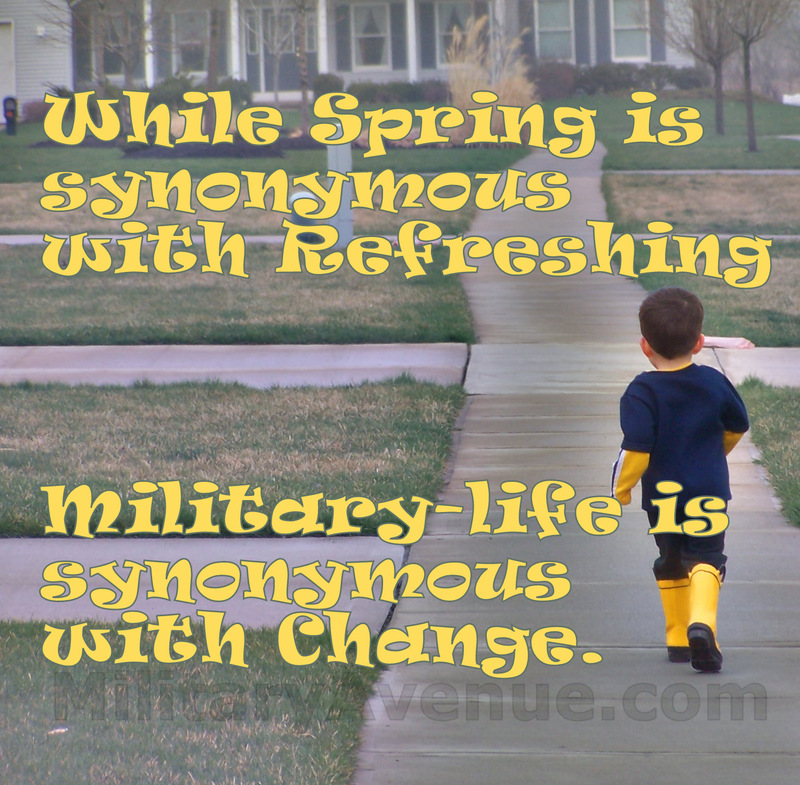 Through all of this we remember that while Spring is synonymous with Refreshing. 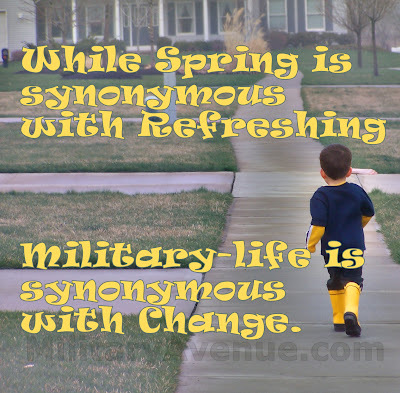 Military-life is synonymous with Change. And we take it all in stride. I took two old school-backpacks and put each of the boys' soccer gear (shin guards, cleats, uniforms) in their own bag. Nothing fancy. Just something to keep them organized and be able to say 'Grab your bag and get ready'. Another organization tip: I have a trunk-organizer that holds soccer balls, baseball mitts, and a few light coats in case it gets chilly. If we are going grocery shopping or travelling and I need the trunk space it comes right out. Otherwise, the boys know right where to check to make sure they have their stuff before we jump in the van to go. Find a reliable babysitter for those events that you either (a) can't take the kids to or (b) it would be so much easier NOT to take the kids to. Perhaps become part of a co-op, ask a younger neighborhood teenager to watch your young ones while you do around the house work. Look into SitterCity. 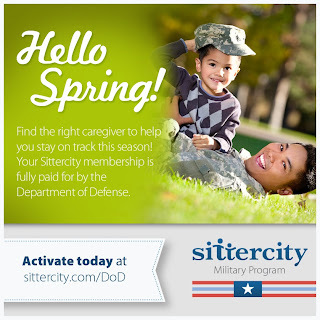 The DoD offers a free membership to help you find the sitter your family needs. We have lots of resources too if you are going to be PCSing this summer. Many are neatly indexed at "The PCS". Spring is a busy season. A fun season. A season to explore, prepare, be invigorated! Use the resources you have around you. Find time for yourself, your family, your spouse. Empower yourself to make this season the best season of your life. I love spring. Its an amazing post. Nice Blog! thank you for sharing..
Hello Dear, Thanks for providing the useful information. Present time i am also write on the similar topic as Vedic Astrology. We have the best team of Astrologers for providing the best astrology horoscope informations time to time. Though, keep your good work up to date! Some people are don't need any website source to read useful information. They auto find such information that will help other just like i found amazing information about Entertainment, Lifestyle, Sports, Health, Technology News at single place. So Why should i go anywhere. You can also check and avail this source. These days there are the biggest competitions in IAS exam. So students have to choose best or finest IAS coaching institute Jaipur to crack the exam and then crack the interview. Even they can choose IIIASA institute their trainer are well qualified in various streams.